A great place to look for inspiration is Cincinnati parks, local gardens, Cincinnati Botanical Zoo and Botanical Garden, and at Natorp’s Nursery Outlet. It gives you a chance to see perennials in action. Visit Natorp’s horticulturalists (the orange shirt people) and ask your questions. 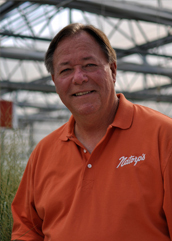 We grow over 740 types of perennials on Natorp’s Nursery. They are a great resource for finding the perfect plants. Take a look at Natorp’s Free Perennial Planting Guide to help you with your perennial planning. Visit Natorp’s Online Store where you can shop by shade, color, etc. 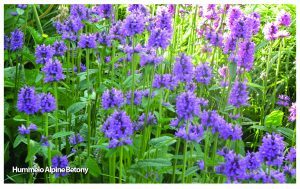 Don’t forget to take a look at the Perennial Plant Association’s perennial of the year winners, this year is Stachys Hummelo. Some past winners: Palace Purple Coral Bells , Russian Sage, May Night Salvia, Becky Shasta Daisy, Rozanne Geranium. Remember, if you have any questions, ask questions@natorp.com. Why should you use coffee grounds in the garden?